I’ve told this story many times, but the other day I realized I’ve never written it. It’s time to put it out there, because it’s unreal. I still don’t know how it happened, but it did. 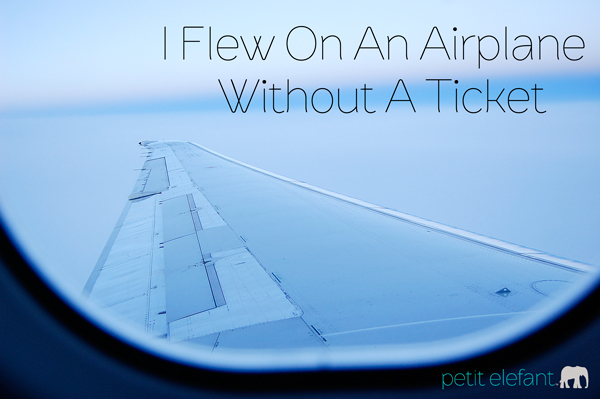 I flew halfway around the world on an airplane without a ticket. This is not fabricated. Honest. Perhaps I should start at the beginning. It was 2006, the year before we moved to S. Africa, and we were taking lots of short-term teams over to do what we could to help with the orphan crisis that resulted from the AIDS pandemic. S. Africa is a long ways away, about an 18 hour flight from the U.S. East coast. 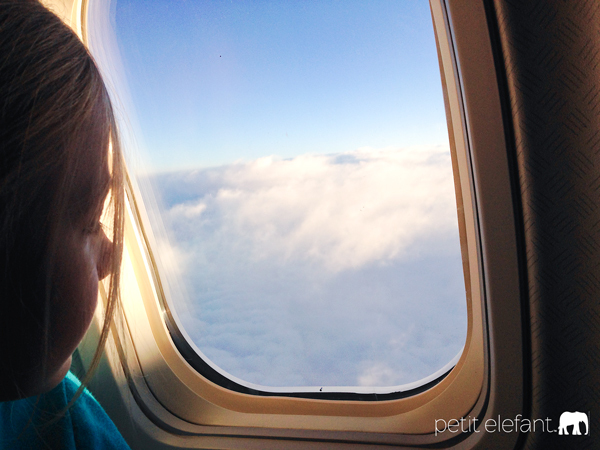 For some reason, my husband and I planned a trip that was only a week long, including travel, with a four-year-old and a two-year-old. The odds were against us before we even began, but we were young and we forged ahead with that “I can do anything” attitude. When we checked in at JFK airport in New York, something was up. The gentleman at the gate frowned slightly when he ran my boarding pass and told me the same thing the ticket agent said when we checked in, “I can only give you your boarding pass for this flight, because there’s a problem. 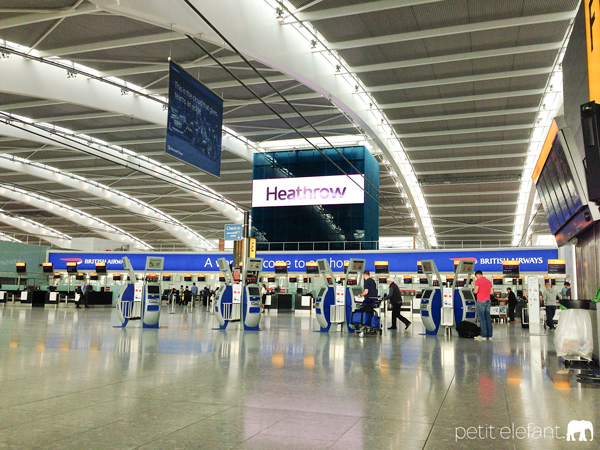 You’ll have to get your London to Johannesburg boarding pass in London.” I didn’t think much of it since their systems weren’t fully functioning because of technical difficulties. I didn’t know what the problem was but figured I would just sort it out once I got to Heathrow. An eighteen hour layover is too long to sit in an airport, so we decided to venture into the city, naturally making sure that we had enough time to be back and get my boarding pass. No big deal. Well, it was a big deal. We queued up like any other traveler to get that boarding pass. I’ll never forget the words I heard, “There is no record of you having a ticket. I don’t even know how you flew from JFK to here.” What? How is that even possible? You can’t just jump on a plane without a ticket. Except apparently I had. “Well, what are my options?” I asked. It was sounding grim, very grim. “They are holding the gate for you, but you are going to have to run,” they said. 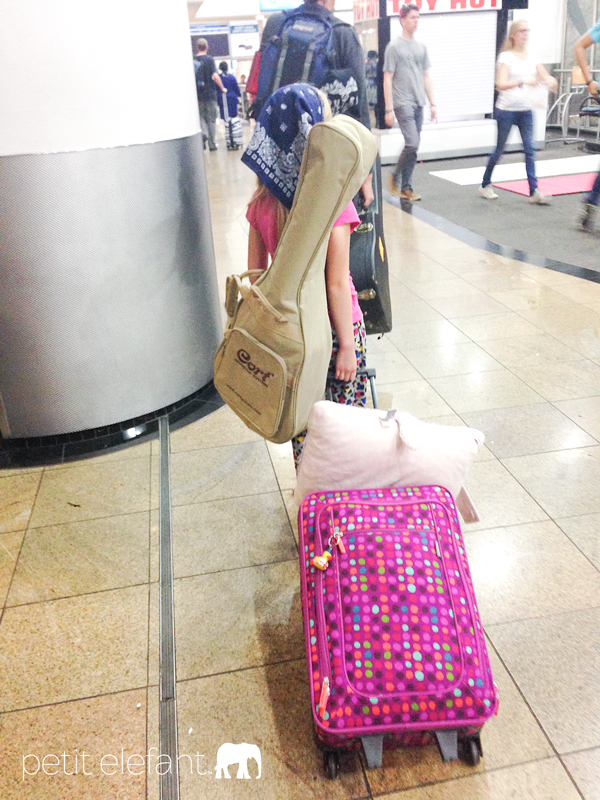 Have you ever seen a family running through the airport with a four-year-old and a two-year-old. It’s quite a sight, but after all that, I was not going to miss that plane. Can you believe that’s not the end of the story? I proudly presented my boarding pass and passport and was relieved when the green light came up. My husband presented his documents, and no lie, they said, “We’re sorry, but you can’t board the plane. You don’t have two blank visa pages.” That’s when I lost it, like uncontrollable flood waters pouring forth in the form of incredulous sobs. Hell was breaking loose, and I didn’t care who heard it. A lady, perhaps an angel, appeared and asked to see the passport. She walked away, came back, and said with a smile, “You can board the plane now.” I don’t know if she felt sorry for us, but at that moment, I was willing to take any pity that anyone wanted to give. Ten hours later we landed in S. Africa and as soon as we went through immigration, they whisked my husband away, yelling loudly over his lack of visa pages. They ended up fining the airline a hefty amount of money for letting him on the plane. Make sure you have a ticket, like a real ticket, one that gets you on an airplane, and make sure you have two blank VISA pages in your passport. Lesson learned on all fronts! Tell me. Have you experienced any crazy flying stories? Do tell! I love a good story! Actually, mine is a story coming home from South Africa. It turned out that a volcano had gone off while I was in-route. The first leg went fine. Johanesburg to Nairobi to Amsterdam. There I was told i was being routed to Copenhagen after sitting for 6 hours in the terminal. Once I got to Copenhagen which was not on my original itenerary they didn’t know what to do with me. I sat there for a couple of hours before they told me that they were going to have to put me up in a hotel for the evening. I was young, didn’t have much money, and this was the day before cell phones or text, so I had no way to talk to my family. I spent the night in a hotel and the next day they flew me to Chicago and I sat there for a couple hours then boarded a plane for Seattle waited a couple of hours and finally made it to Anchorage almost 3 days after I left South Africa. Thankfully, my family had some connections at the airport and where able to see how I was routed and were there to pick my up. Though I have to say yours beats mine because you had children with you! Oh, my goodness, Kelleyn! I can imagine how nerve wracking that would be traveling young and without a cell phone! Traveling is such an adventure, isn’t it? Was it at least nice staying at a hotel in Copenhagen? I can’t believe it took you 3 days to get home!! Once we traveled through Venezuela by bus during elections. At every county line scared-looking teenagers carrying machine guns boarded the bus and searched the luggage. That was the same trip that the airline messed up, and ended up putting us up in a little Venezuelan hotel for the night before we could get our flight. We spoke Portuguese and English, so we got by, but it was a little wild. Never heard that story! So glad God watches over you all the time!!! That is a very crazy story! We got stuck in traffic on our way to the airport when we were leaving France, and while we still made our flight, the airline had decided to give away our seats to standby passengers – 10 seats, all together on the plane! They had ten empty seats left on the plane, just spread out. I still don’t comprehend why they gave away an entire row when they had extra seats empty on the plane. My three-week-old brother was assigned his own new seat next to a perfect stranger! Thankfully passengers moved around so we could sit in sets of 2-3 people. A favourite airline story features a friend of mine flying from the Sudan to the US. He ended up in an aisle with some major odour. At a layover in France, he got off the plane and realised… the odour was his!! Some mould or fungus must have started growing in his shoe. !! He had been so uncomfortable on the flight, thinking it was someone else’s problem. Needless to say, he bought some new shoes right away! Oh, that’s so gross, Elisa! I guess you realize it more when your stuck in that tin can for so many hours. Glad he got some new shoes!